Join us on Saturday 13 April 10am-12 noon for some family fun. 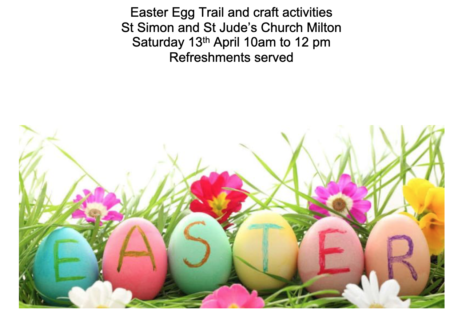 There will be an Easter Egg Trail and Craft Activities at St Simon and St Jude Church, Milton under Wychwood. Refreshments will also be served.